Vineyards are everywhere in Provence and this one is situated up hill in ‘Les Baronnies’. 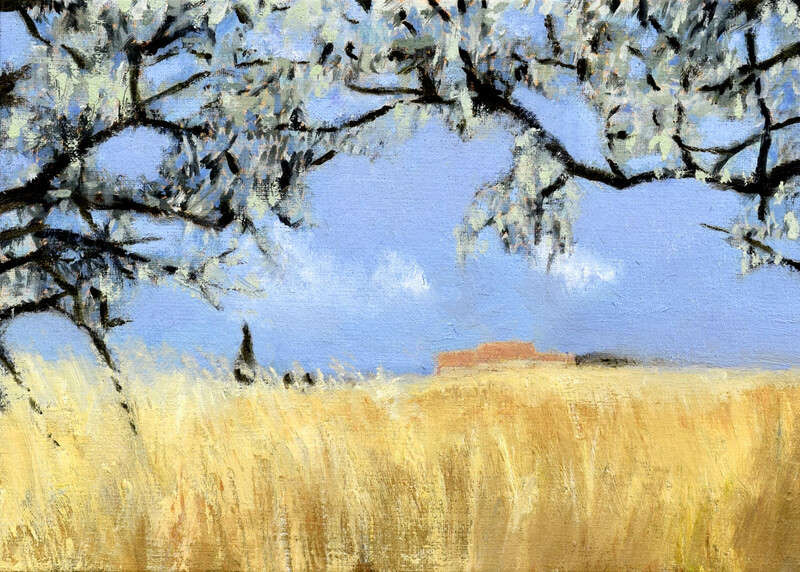 This second painting shows the Old Mayor’s farmhouse on the plateau of Clansayes haft hidden by the gold wheat field. 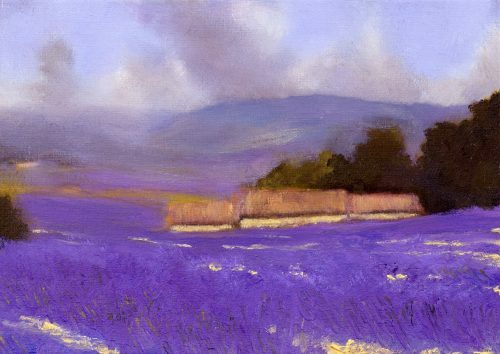 This third painting seeks the capture the dazzling colour of a lavender field, one you can see across the valley in Sault, the capital of Lavender. This is another collection of 3 paintings for throwback Wednesday. When I first painted these landscapes it was a joy and I wanted to share them with you again. Each show a different crop, a crop you can often see in Provence and when placed next to each other, they become a mini travelogue on a warm summer day. Even though they were painted from memory, they showcase places that mean a lot to me. The collection would look great as a set or each landscape can be bought individually. 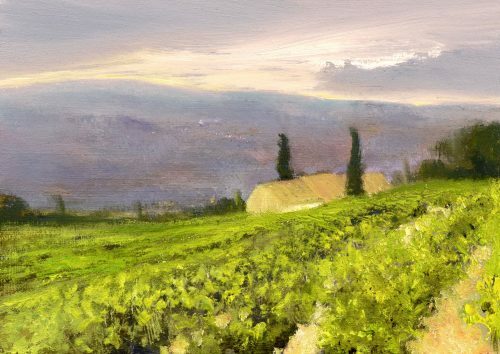 So what do you think, do these paintings capture Provence? What do we think of when we think of the Provencal landscape – vineyards, wheat and lavender! Here this trio of paintings takes us on a little journey through that unique landscape filled with the beauty and vibrant colour of summer. Lovely John.